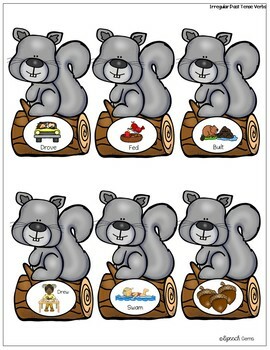 Find the seasonal characters in sensory bins or around the speech room as you practice articulation and language skills in Speech therapy. 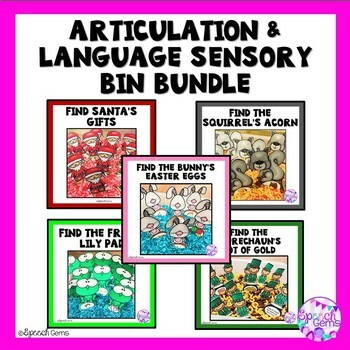 This Articulation and Language Sensory Bin Bundle targets articulation skills, seasonal vocabulary, verbs and basic concepts. 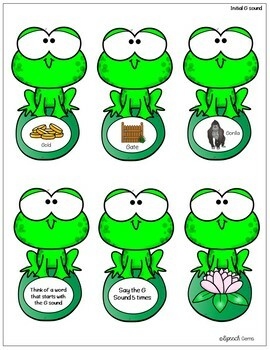 It is perfect for mixed articulation and language groups. 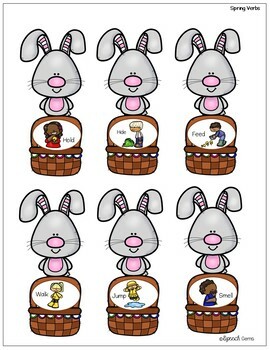 Don't forget to FOLLOW ME and be notified when new products are uploaded. New Products are 50% off for the first 48 hours. Earn points toward FREE TPT products by leaving feedback. You'll receive some great stuff!